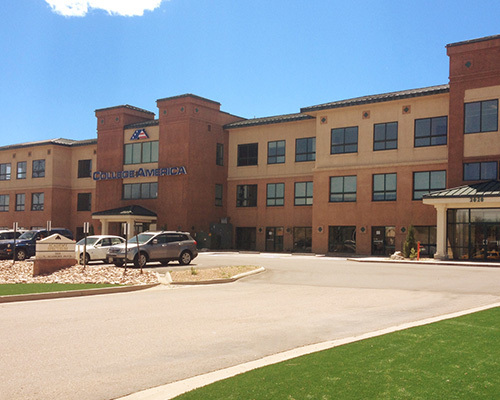 The Colorado Springs campus of CollegeAmerica is an approved testing center of Pearson VUE®, so you can prepare for and take your GED® test all in one place! All instruction, learning materials, and computerized practice tests are provided through the Good Neighbor Initiative. From the moment you walk in the door, the friendly campus staff will treat you like part of the family. Drop in today to learn more! Linda Young has coordinated the campus’s GED® test service for about eight years. She loves seeing the fulfillment in students’ eyes when they pass their GED® test. She gets excited to tell them about CollegeAmerica and how great it was for her as a student. She received her Associate’s degree in Medical Specialties, continued with her Bachelor’s degree in Healthcare Administration, and then got her MBA. She always lets her students know that if they want it, they can achieve it.